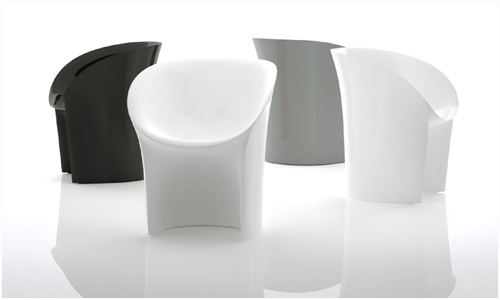 Milan Preview: Moon Chair by Tokujin Yoshioka for Moroso. Last year’s Salone del Mobile (Milan Furniture Fair) in Milan featured many creations by Japanese designer Tokujin Yoshioka, including the Memory chair that he designed for Moroso. This year, he will be introducing this Moon Chair again in collaboration with Moroso. 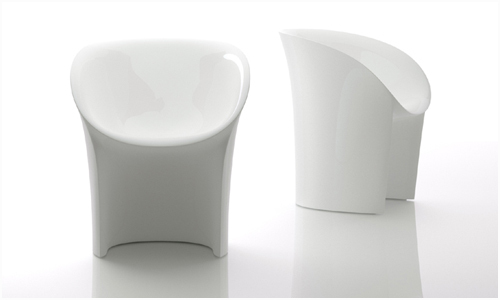 At first glance the Moon Chair looks so pure, as if gazing at the moon on a cloudless night. “MOON” is the chair inspired by the beauty of the light and shadow inherent in the moon. The moonlight is ephemeral light which is born and fades away momentarily. It is the finest expression of the universe. During the show, Yoshioka will also be featuring an installation called “Twilight”, which we will bring to you when it is available. This will be at Moroso’s showroom in Milan.